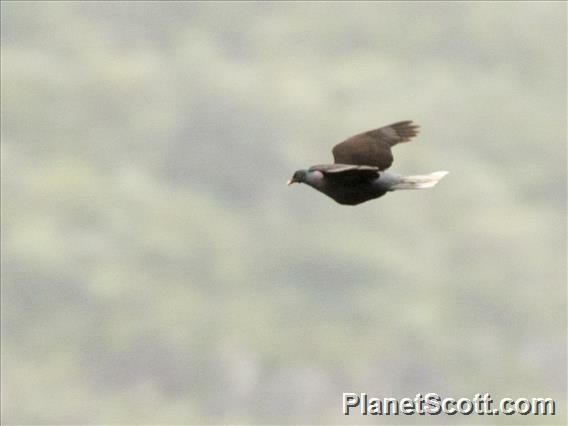 Columba junoniae is endemic to the Canary Islands, Spain, where it occurs on the islands of La Palma, La Gomera, Tenerife and El Hierro (González 1996, Martín and Lorenzo 2001), and formerly on Gran Canaria (Barov and Derhé 2011). In the 1980s, the population was estimated at 1,200-1,480 individuals, but more surveys conducted during 1997-2000 estimate the population at 1,000-2,499 pairs (BirdLife International 2004). Although this figure is considerably higher than the previous estimate, the increase in numbers may reflect increased sampling effort rather than an actual population increase, however, recent the species is now believed to be more widely distributed than previously thought (Martín and Lorenzo 2001, Martín et al. 2000). Data from censuses and recent phylogenetic studies have shown that the preferred vegetation type of the species is thermophilous forest (Gonzalez et al. 2009, Marrero et al. 2008, Nogales et al. 2009), which is has been heavily reduced and only small fragments of original habitat remain (Santos 2000). Habitat loss has had severe consequences on the distribution of C. junoniae, which currently survives in secondary areas of laurel and pine forest (Martín et al. 2000). The largest subpopulation is found on La Palma, where it occurs across much of the northern half of the island. The species is common on La Gomera, where it is found primarily in the north, and also occurs patchily on the northern slopes of Tenerife. It has recently also been recorded on El Hierro; however, breeding there has not yet been confirmed (Martín and Lorenzo 2001, Martín et al. 2000). Although the species was recently suspected to be declining on Tenerife (Hernández 2004), data suggest that its Area of Occupancy, and so presumably its population, has increased overall during the last 20 years (Barov and Derhé 2011).